Are you a crafty girl? 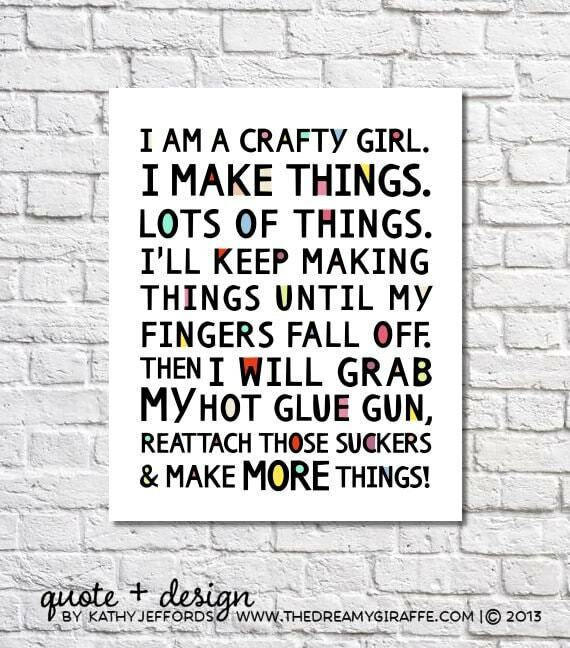 This art print (on luster paper), featuring a funny crafting manifesto in my own words, is for you! 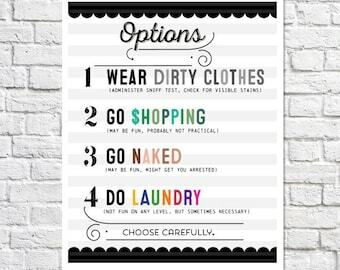 ● PLEASE NOTE: Prints will be shipped to you from my professional printing partner. Prints 11" x 14" and smaller are shipped flat. Prints 16" x 20" and larger are shipped in sturdy cardboard tubes. All prints within are sealed in poly bags to ensure they will stay dry & protected during their travels. We use USPS, FedEx, and UPS to ship larger prints. No matter which carrier used, you will receive a tracking number as soon as your package is on its way. ● NOT RECOMMENDED: Please do not try reattaching body parts with a glue gun at home. Words & design © 2013, Kathy R. Jeffords. Copyright not transferable with sale. It is *always* okay with me if someone wants to feature my work on their blog, Pinterest, Twitter, Facebook, etc. as long as there is a link back to my shop and my copyright information is *not* cropped from my picture. Please do not repost my work (words or images) anywhere without proper credit. Neither my original writing or images may be used for any commercial purposes without my express prior consent. Absolutely love this! I put it on the outside of my craft room door. 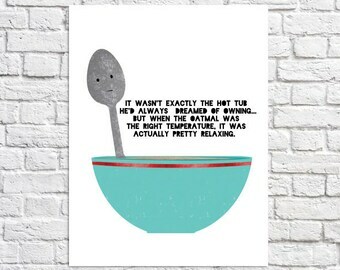 I happened to have a party that night and everyone committed on it. Thanks! Love it!!! 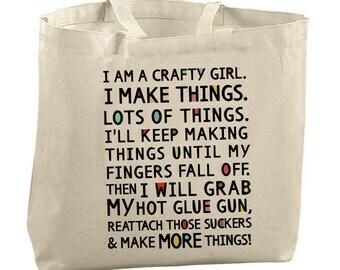 Perfect for this crafty girl!